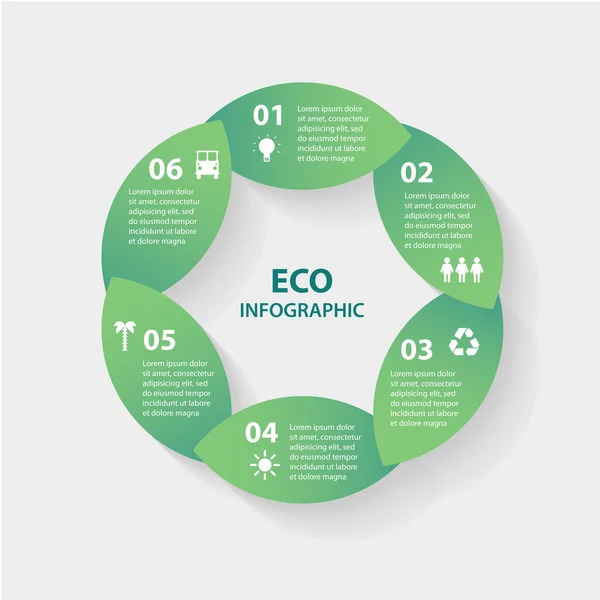 Vector green leaves circle round infographics. Template for diagram, graph, presentation and chart. Eco concept with options, parts, steps or processes. Abstract background.